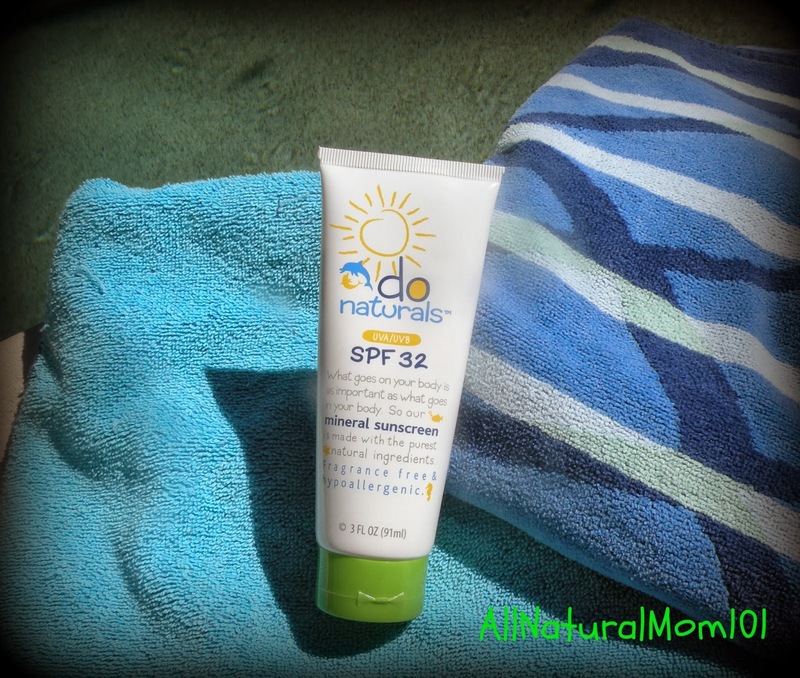 AllNaturalMom: Dolphin Organics SPF 32 Sunscreen! Dolphin Organics SPF 32 Sunscreen! 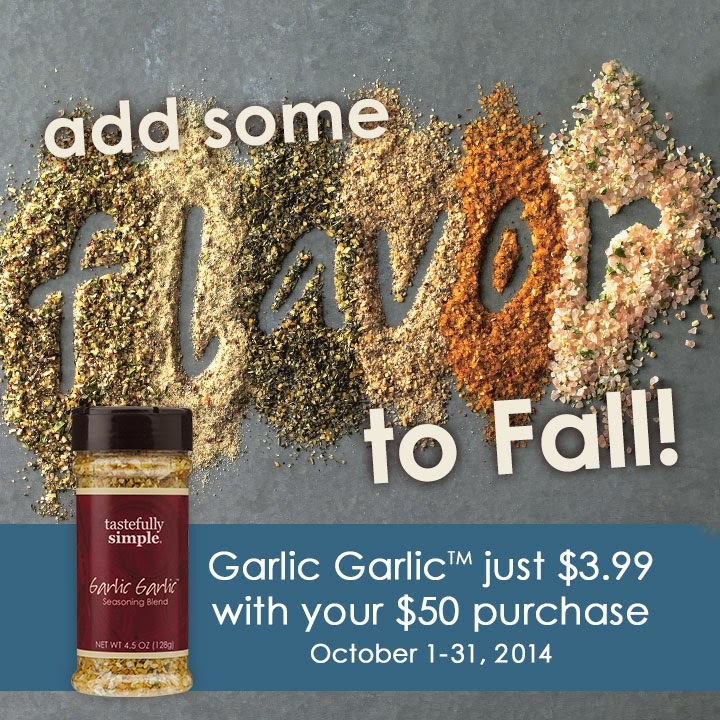 My family loves spending time outdoors, and living in FL the sun shines all year round! With that comes sunburns, at least for my family. My son and I burn really easy if we are outside for more than an hour. Sunscreen is a must and it is really important to use safe sunscreens. I've said before how I am super cautious about the products I use on my family and sunscreen is one of them. 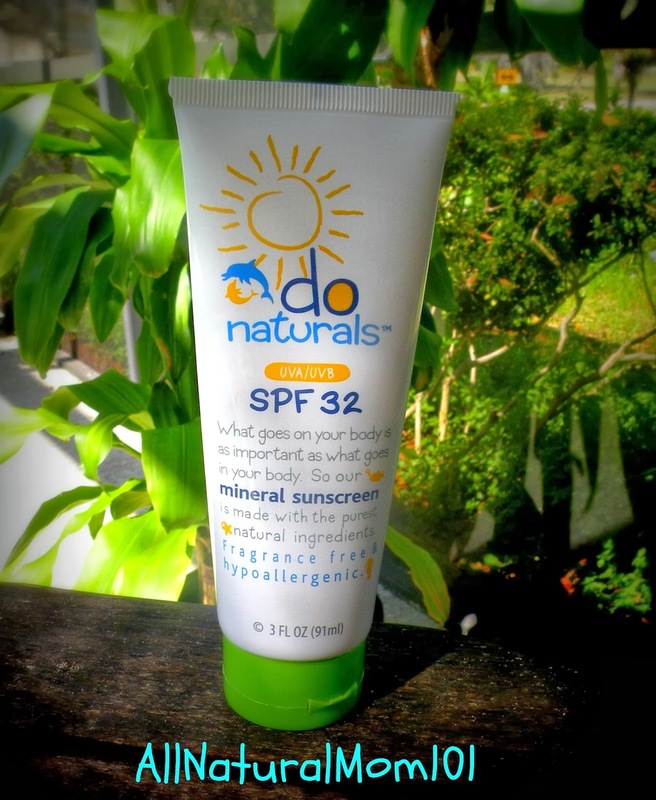 I recently had the chance to try out Do Naturals SPF 32 Sunscreen by Dolphin Organics. It's an All Natural Mineral Sunscreen that provides broad spectrum UNV/UVB protection. The SPF 32 is all we needed, it was just enough to protect us from the sun, they also make a SPF 50 for longer and stronger protection. The Do Organics SPF 32 is Fragrance Free, truly has no special smell to it at all. It's smooth and creamy texture spreads on white and easily absorbs in nicely. It immediately starts working! 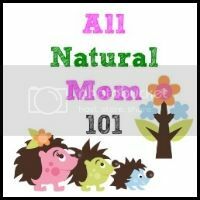 My son played outside all day over the weekend and was sunburn free thanks to Do Naturals Certified Organic Aloe based SPF 32 by Dolphin Organics! You can find Do Naturals SPF 32 as well as other Dolphin Organic Products HERE! Find Dolphin Organics on Facebook! Disclaimer: I was given the products in this post for the purpose my honest review. I was not paid in any way to write this review. I will have to check it out. We have to be careful with Liam's sensitive skin. The Parenting Patch 20,000 Fan Giveaway! 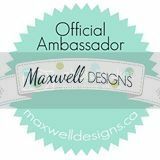 The Sustainable & Upcycle Giveaway Hop! Rockin Green Athletic Detergent Review! 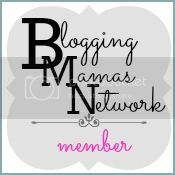 Sum-Bo-Shine Baby Review & Giveaway! Lucky Little Ones Giveaway Event!